Provides intense cooling power, for freshness that lasts all day. Your day begins with that intense power workout that keep mind focused and body in shape. The harder you push yourself, the more your body will protest. From sweat to grease, from grease to dandruff. Perspiration and humidity from your intense regime could leave you with a greasy and itchy scalp that builds up to dandruff. 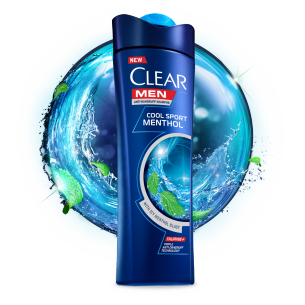 Specially made for men, CLEAR Men Cool Sport Menthol Shampoo is infused with Menthol to thoroughly remove all traces of grime, grease and dandruff on your hair and scalp, while providing a cooling sensation that keeps your hair and scalp feeling fresh. Achieve those power lifts without worrying about your scalp. 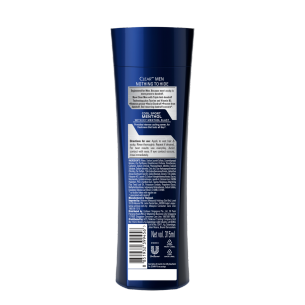 Menthol, which is known for its cooling effect that stimulates scalp’s nerve endings, thus encouraging healthy hair growth, while helping to regulate excess oil production..